Product prices and availability are accurate as of 2019-04-12 10:05:04 EDT and are subject to change. Any price and availability information displayed on http://www.amazon.com/ at the time of purchase will apply to the purchase of this product. 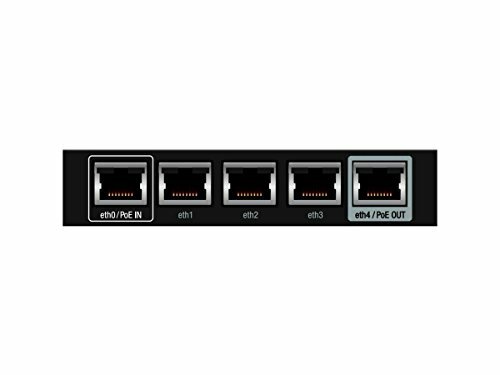 Centralized Management The EdgeRouter X SFP is supported and managed by UNMS (Ubiquiti Network Management System), a comprehensive controller with an intuitive UI. A single control plane manages registered EdgeMAX devices across multiple sites. Versatile PoE Capability Powered by 24V passive PoE or a power adapter, the EdgeRouter X features a passive PoE passthrough option* to power an airMAX device. 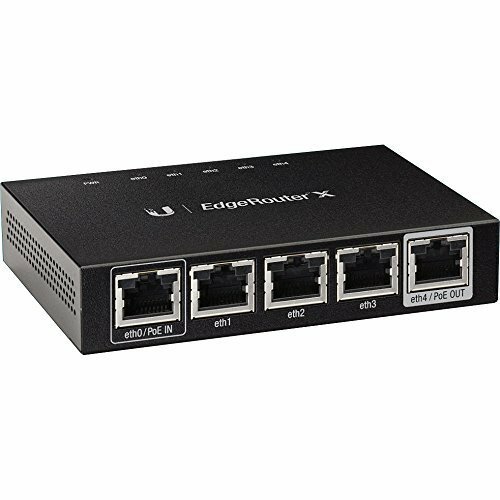 World-Leading Price/Performance At $59 USD MSRP, the EdgeRouter X offers a breakthrough combination of value and performance in routing technology. Gigabit Connectivity The EdgeRouter X provides five independent, Gigabit RJ45 ports that are configurable for switching.